RIP the old faithfuls. 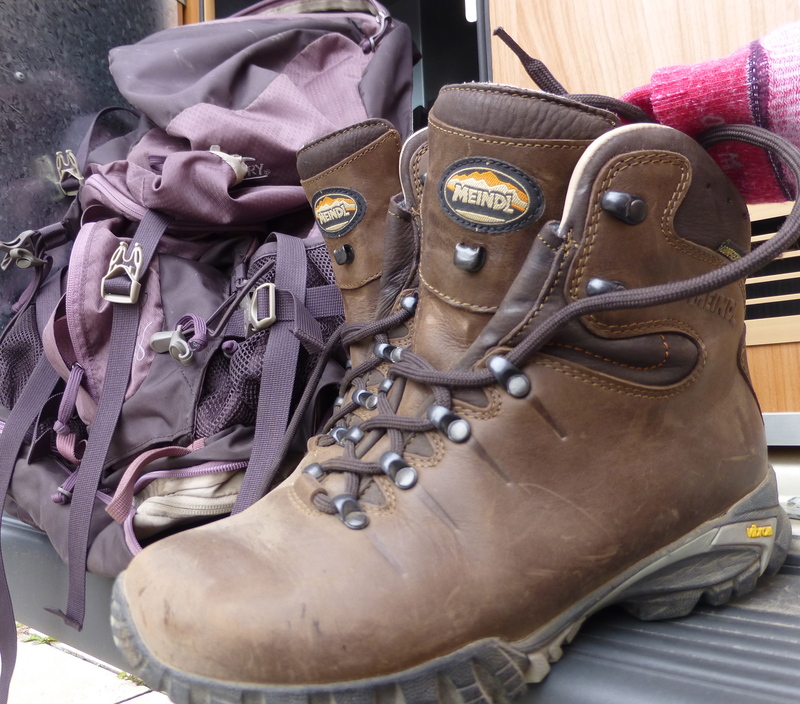 Some big adventures loom for these babies this summer and my feet need to get acquainted – fast! Good to have you on board – and I’ll take a look, thanks. My feet hurt just thinking about it. Breaking in new boots is as trying as getting married! They have a sort of rocking motion which propels one forward. I’m relying on it to get up the hills! It’s good to hear that it’s going well. I hate to break in new shoes. Me too. I’ve got Compeed on hand, just in case. Meindls are good boots. You’ve made a good choice with them. The process took me days. Not yet! They may still need to be taken out of retirement. Wishing you many blister-free miles…..